Our community of Sisters considers accepting women who may have a divine calling to religious life. This is a process of friendship, prayer, and discernment. It is good to seek the advice of a spiritual director. When you make contact with our community, you begin a friendship that will help you discern whether you are called to our life. 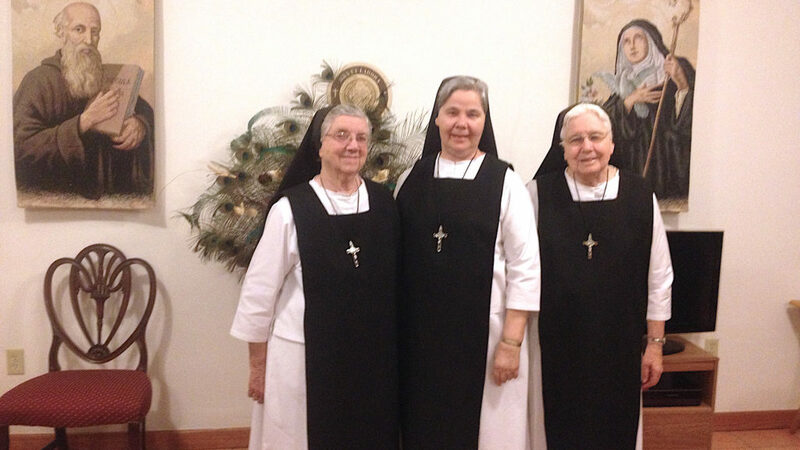 Incorporation into our community of Sisters involves the traditional process used in religious orders of postulancy, novitiate, temporary profession of at least three years, and finally permanent profession. If you feel called to religious life as a Benedictine Sister, contact Sister Nancy. The call – contemplative prayer, communal life and heroic action! 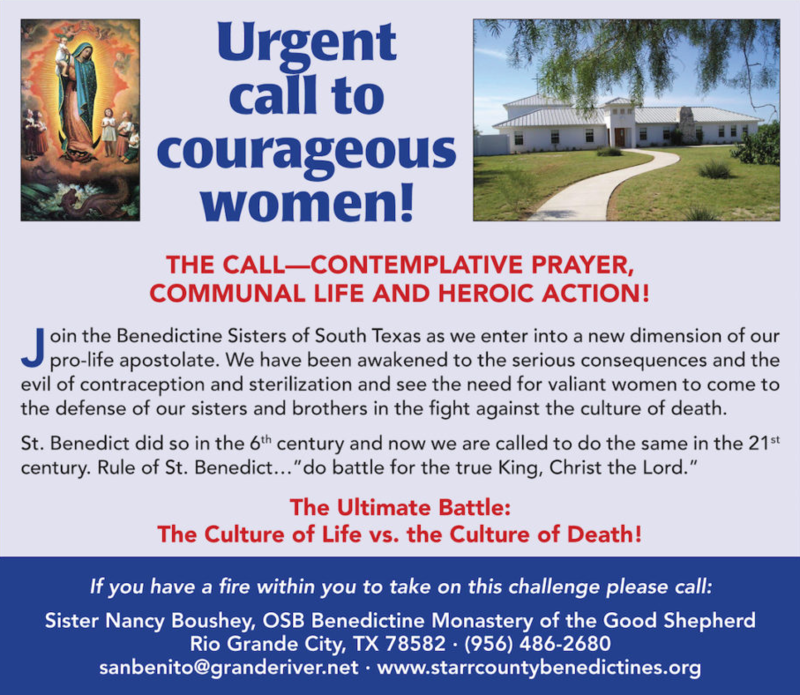 Join the Benedictine Sisters of South Texas as we enter into a new dimenstion of our pro-life apostolate. We have been awakened to the serious consequences and the evil of contraception and sterilization and see the need for valiant women to come to the defense of our sisters and brothers in the fight against the culture of death.